Cessna Aircraft’s single-engine 208B Grand Caravan EX turboprop is once again present in the MAKS 2017 static park. 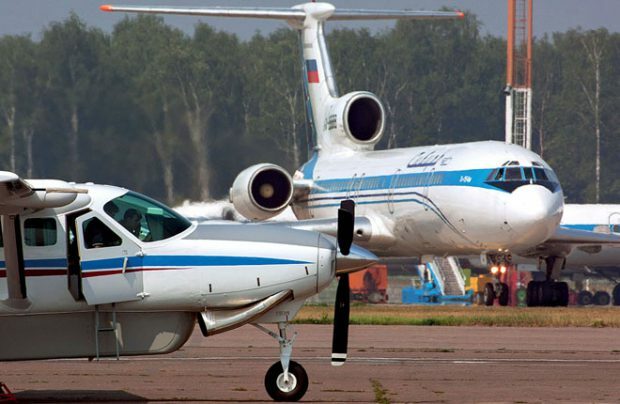 Jet Transfer, the OEM’s official dealer in Russia, is showcasing a variant configured for regional and local operations. Jet Transfer does not expect any contracts to be signed at this year’s MAKS, but work with potential clients continues. Three Russian operators are in the final phase of negotiations to buy Grand Caravans. No deliveries have been scheduled for this year so far. Earlier, the company reported that it was working to have the certificate for the Cessna 208B Grand Caravan EX modification with 14 passenger seats validated locally.